Based on ‘Swordsmith Assassin’, the answer is a ‘yes’. It is not an unequivocal ‘yes’, for I do not believe that ‘Swordsmith Assassin’ actually adds much to the genre other than celebrate the likes of ‘Lady Snowblood’ and ‘Lone Wolf & Cub’ – and that is probably the point. 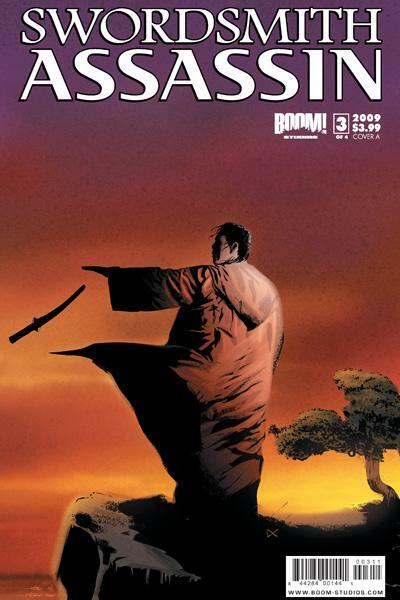 The plot is classic revenge material, with Toshiro Ono – the titular ‘Swordsmith Assassin’ – the focus of the drama. He is a master Swordsmith, who has spent his life making the best swords that have ever been forged and selling them to the highest bidder. But it is this lack of scruples that seals his fate, as his family are killed by a blade of his own making. In the aftermath of his loss, Toshiro realises he must make sure none of his swords ever kill again. To do this, he must track down every sword he has made. ‘Swordsmith Assassin’ #3 is out tomorrow (21st October) from Boom!